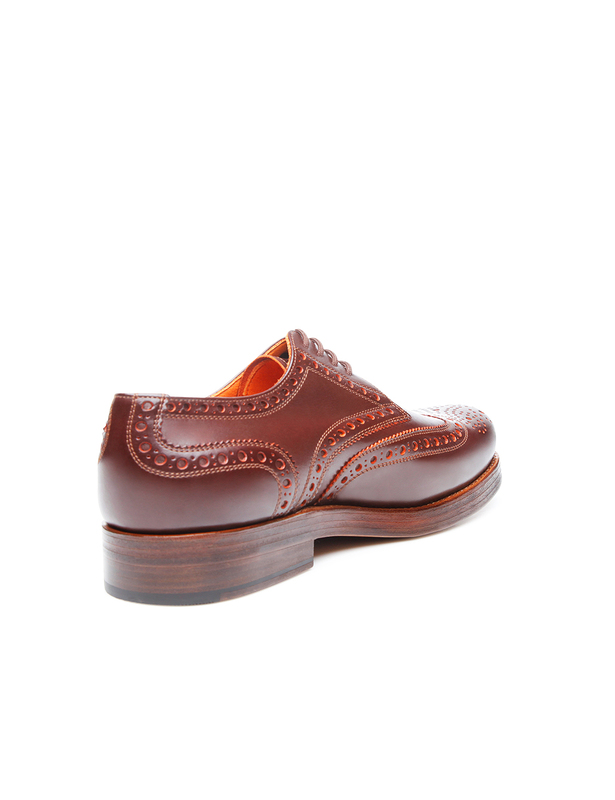 Sophisticated Calfskin This textured, satiny matt calfskin has been fully dyed orange. 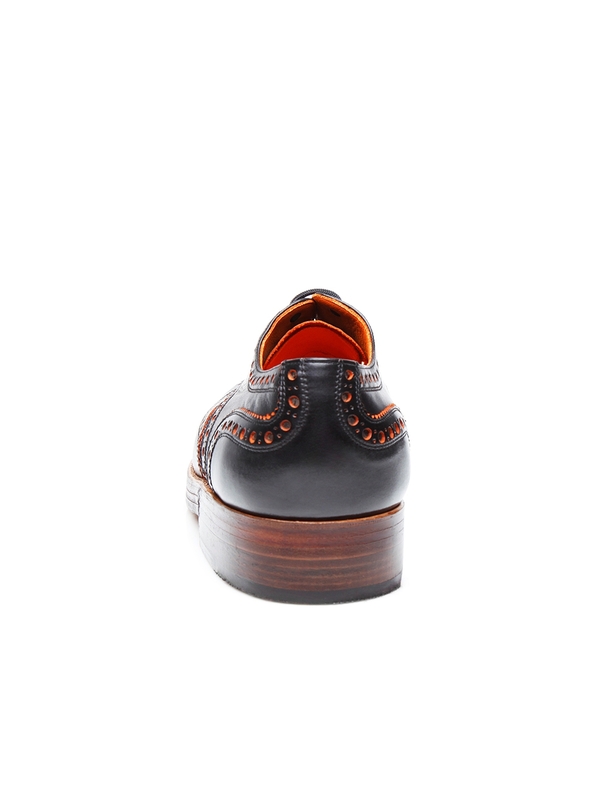 The flesh side of the hide has been aniline-dyed black or brown, resulting in a striking contrast. 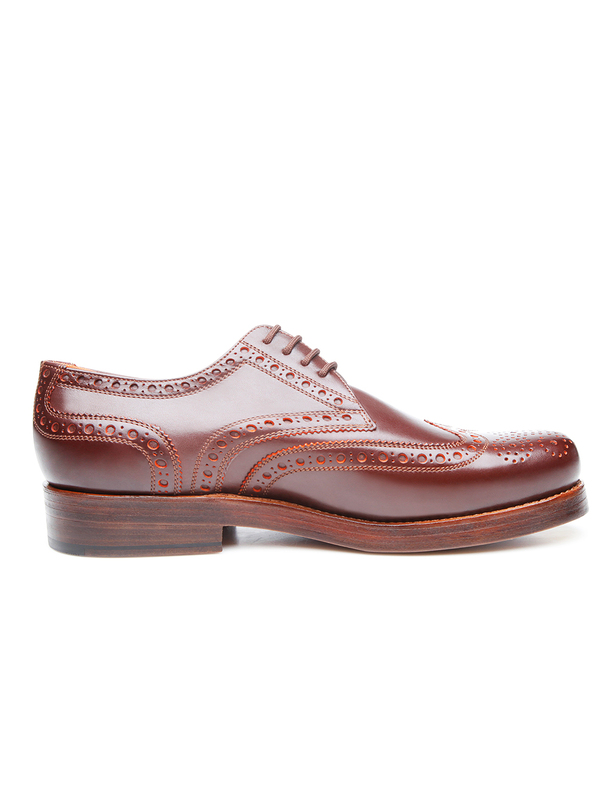 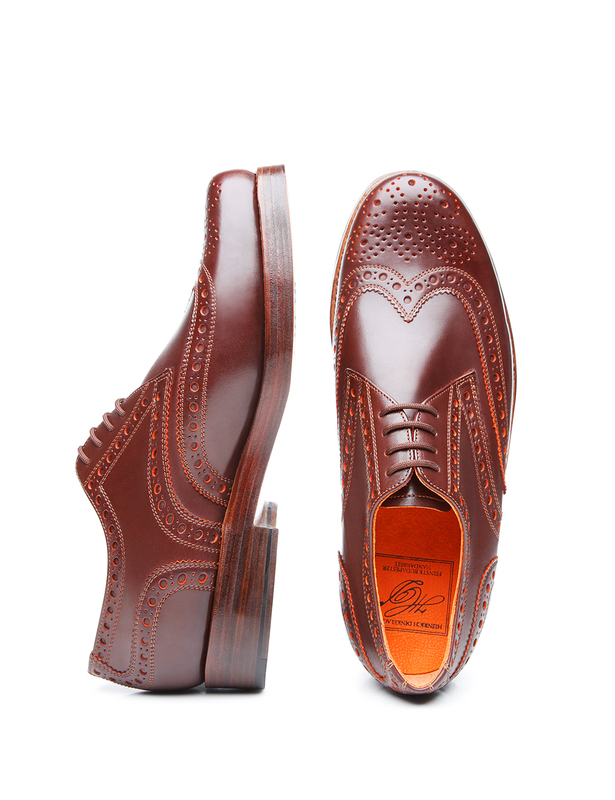 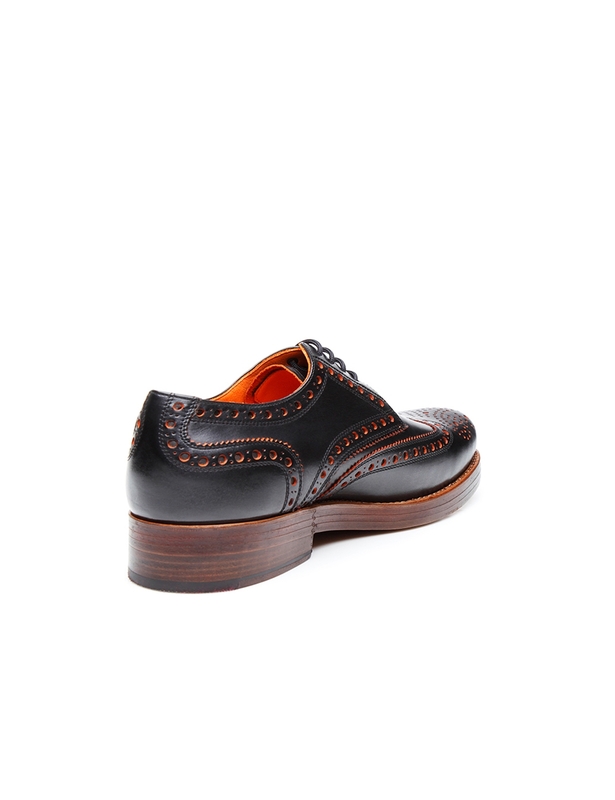 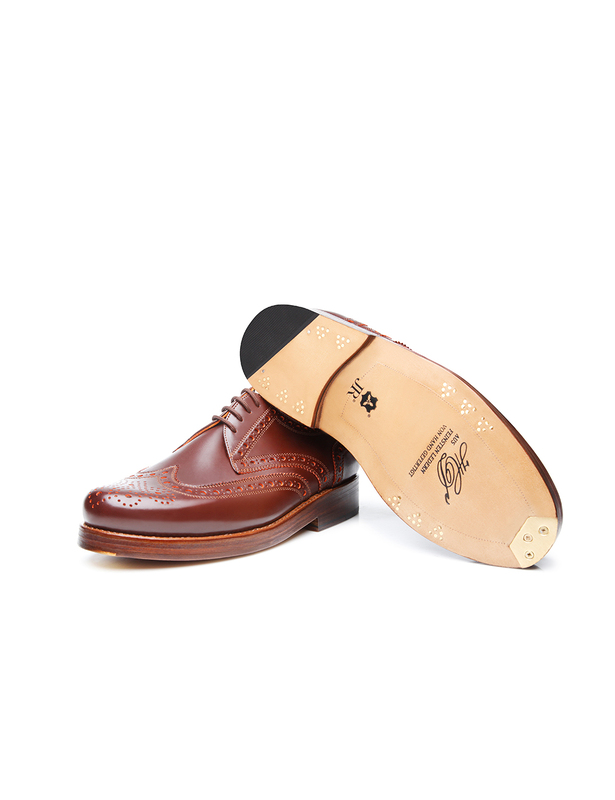 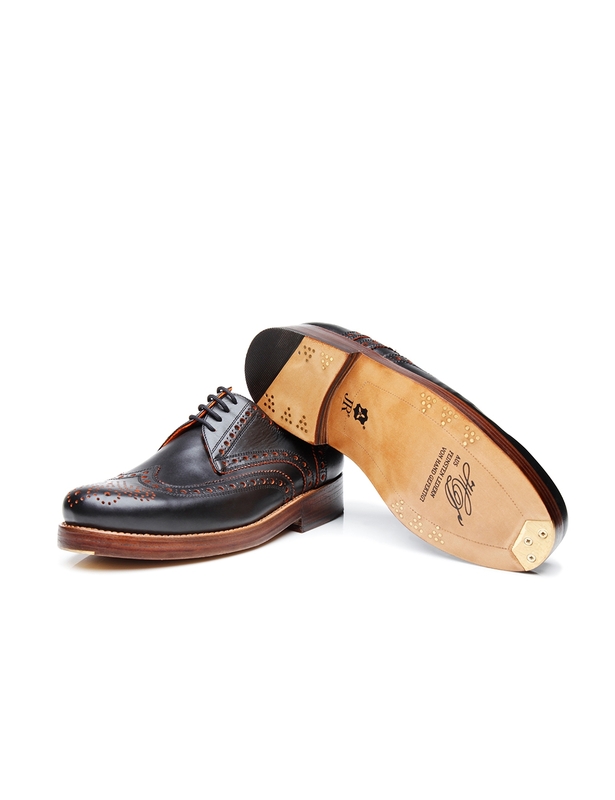 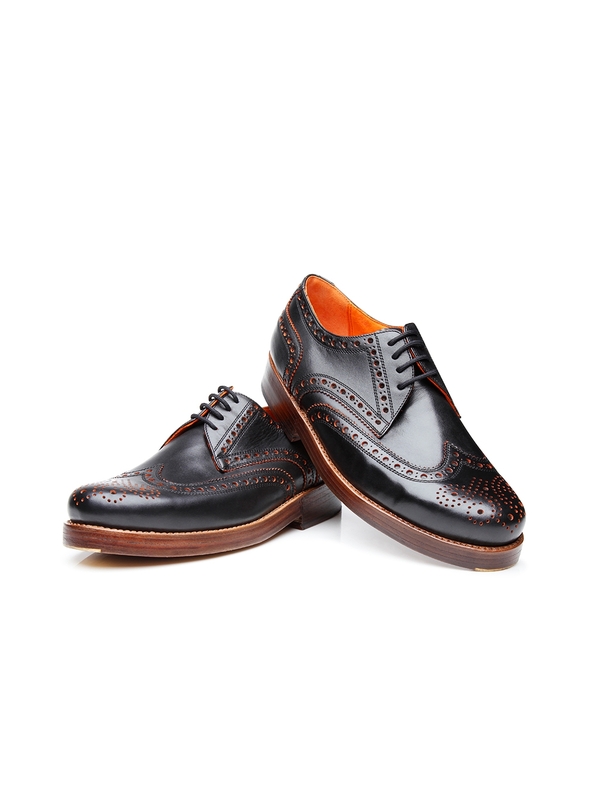 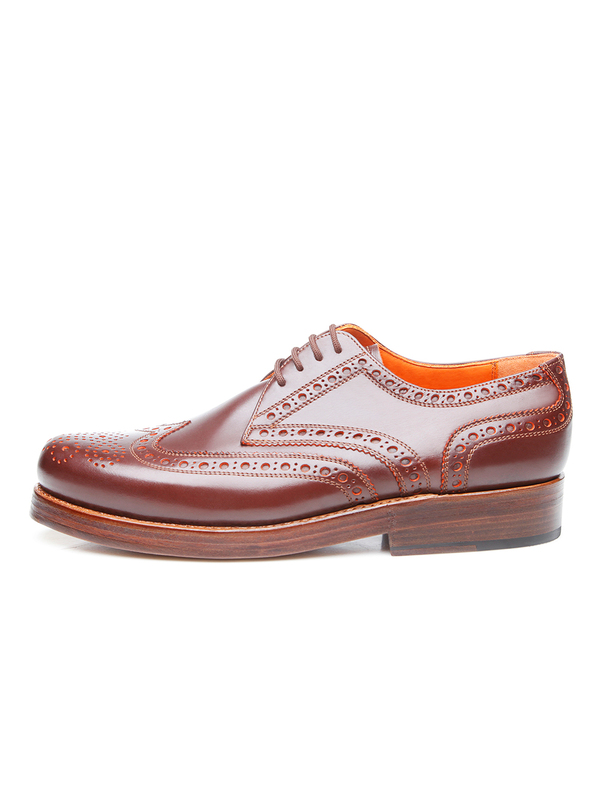 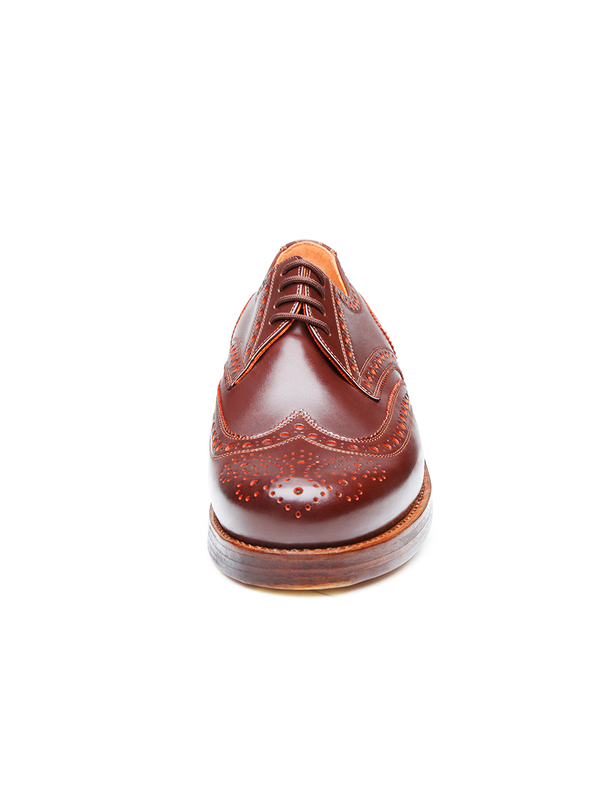 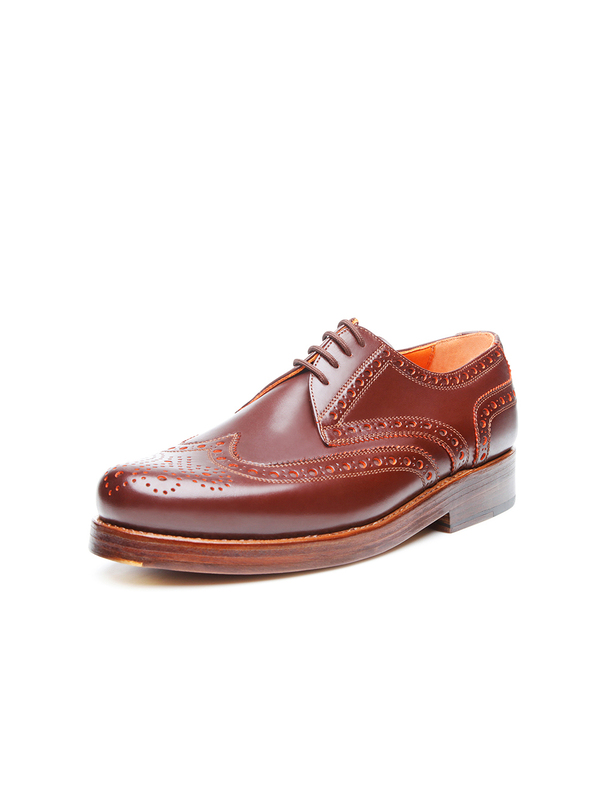 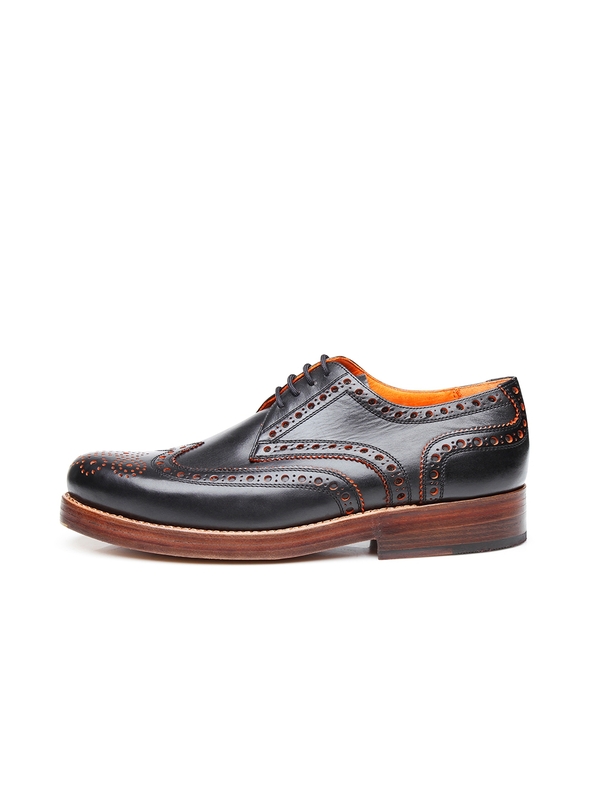 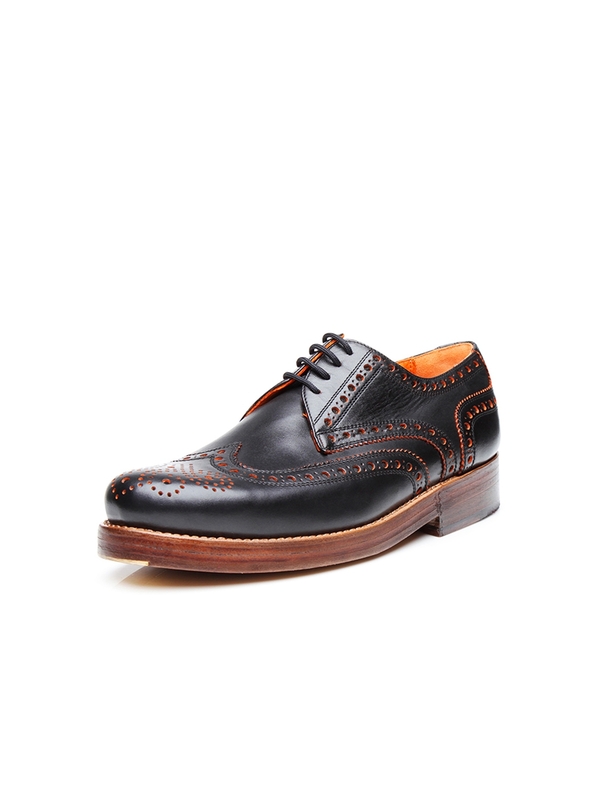 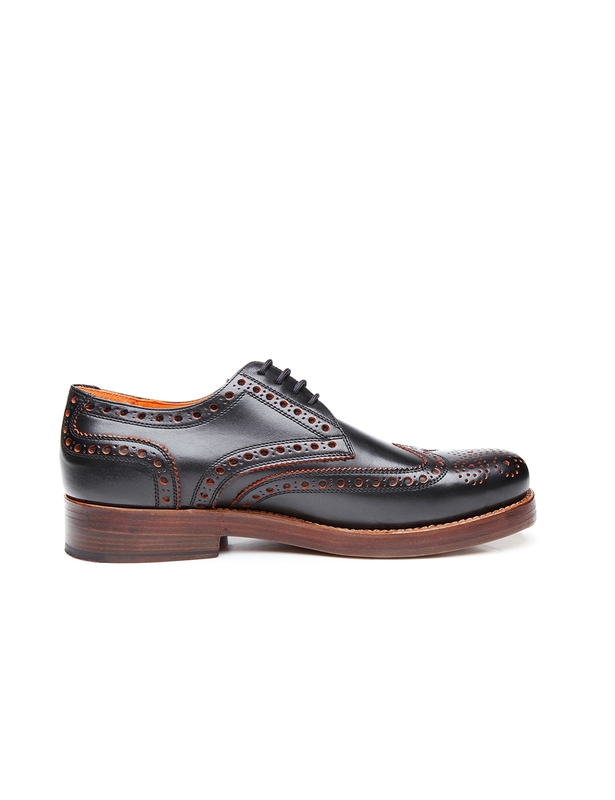 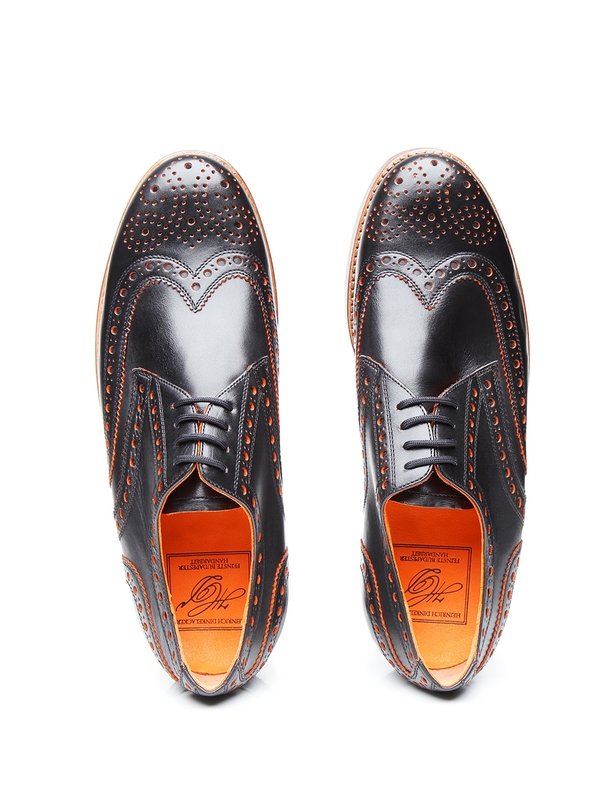 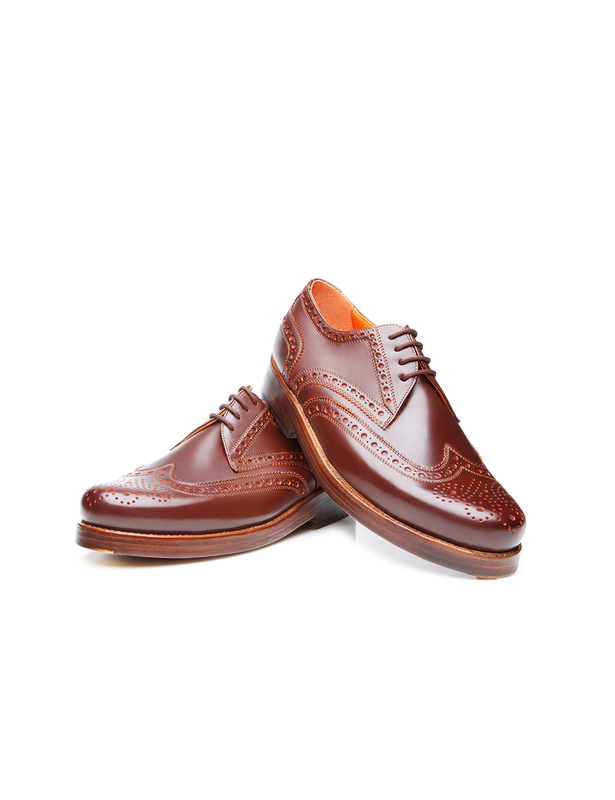 The secret of this handcrafted and sewn-welted full-brogue Derby lies undoubtedly in the details. 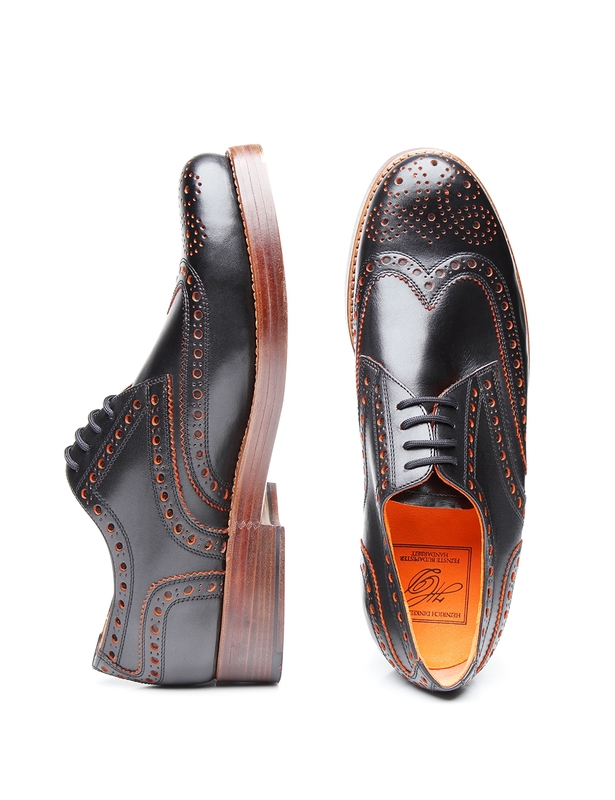 While the bottom side of the semi-matt calfskin is dyed orange, the leather upper maintains a warm brown tone. 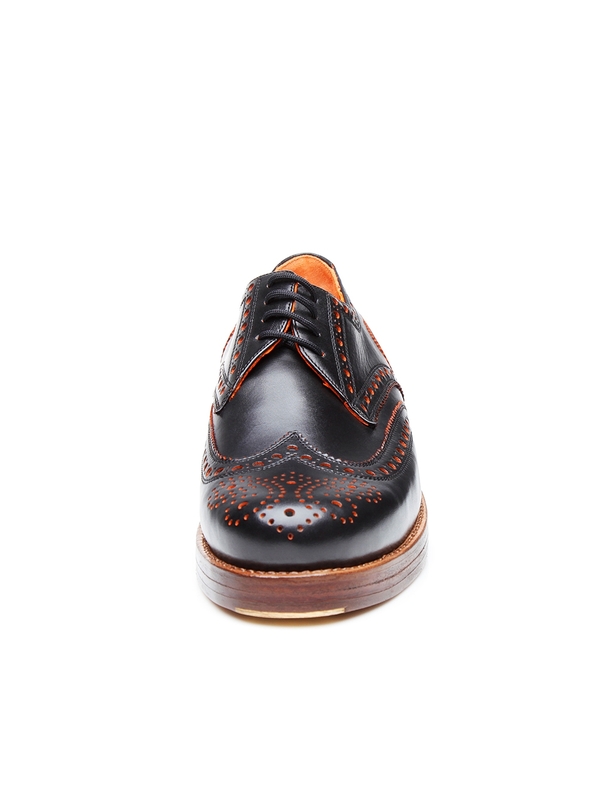 The result is an exciting yet subtle contrast of colours on the cut edges of the opulent perforation pattern. 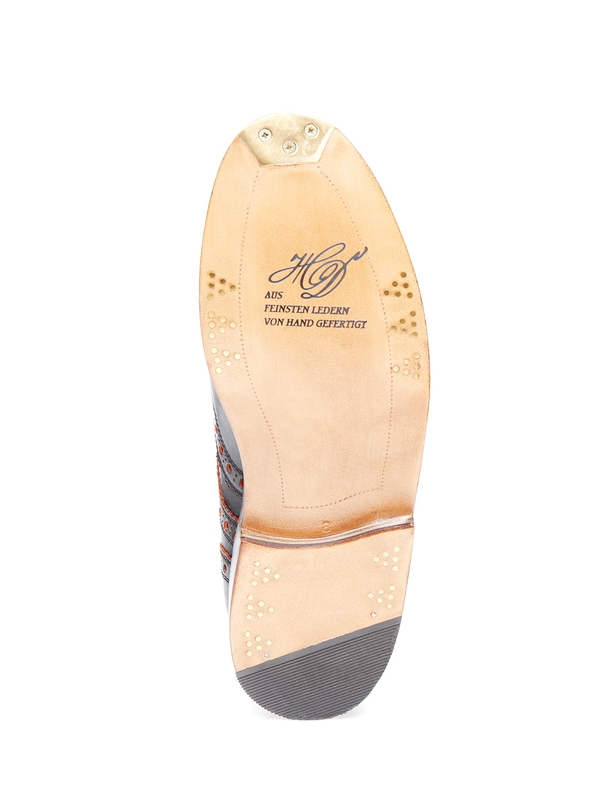 Traditionally equipped with open four-eyelet lacing, this classic shoe also inspires with a triple outsole, as well as six elaborate brass nails and fittings at the tip of the outsole. 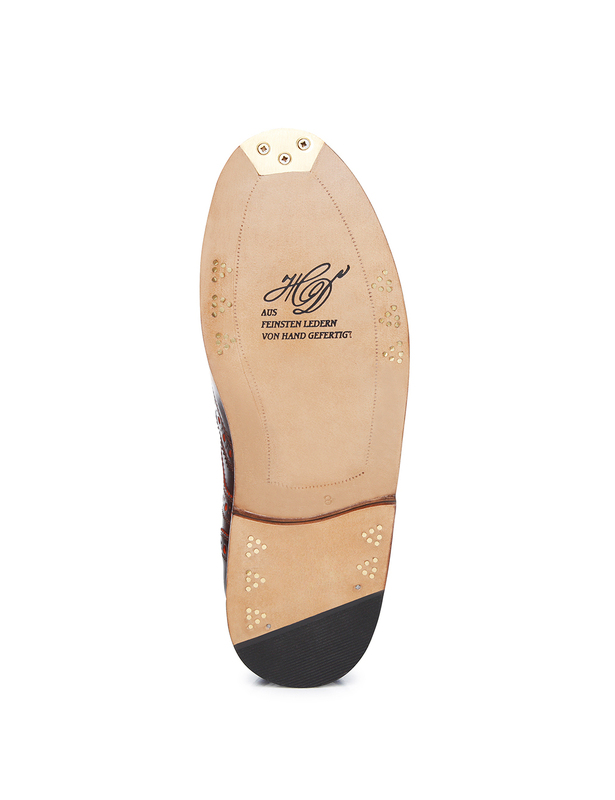 The characteristic perforation pattern can be traced back to Scottish and Irish shepherds and could originally be found on the entire leather upper. 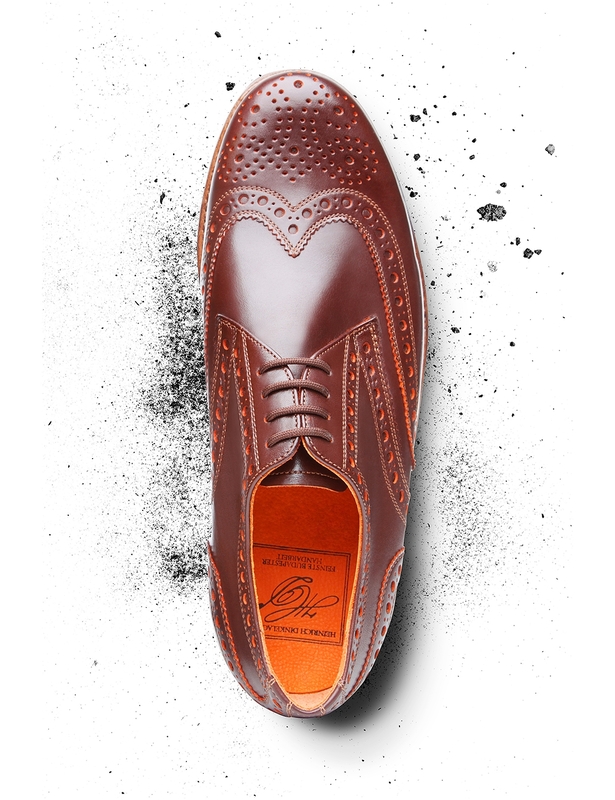 Thus the shoes, often drenched by the boggy highlands of Ireland and Scotland, were able to dry more easily. 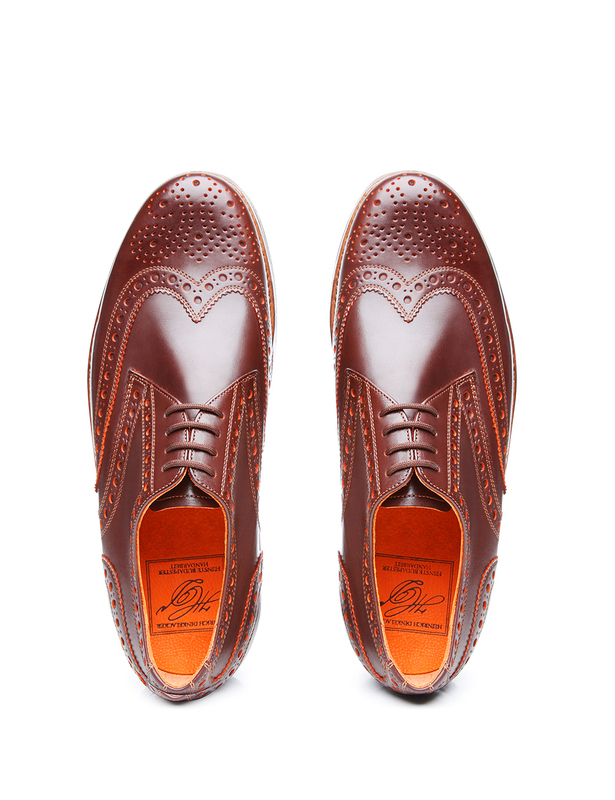 Today, the stylish and elegant broguing serves solely as ornamentation.